Graduated from Usman Danfodio University Sokoto with double honors in both civil and shariah law. Ibrahim has also been called to the Nigerian Bar by the Counsel of Legal Education. A certificate holder from DCon Consulting in Alternative Dispute Resolution (ADR), possessing professional negotiation, mediation, arbitration and hybrid process skills. He went ahead to secure his Masters in Business Administration (MBA) in International Oil and Gas Management from the University of Dundee, Scotland. 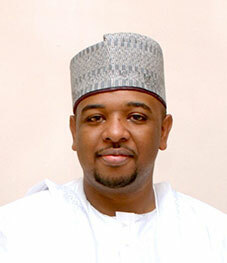 Ibrahim has always been HMG Group's Group Managing Director (GMD) since the company's inception.